During the first of two lectures on marketing in this month’s CIBC Presents Entrepreneurship 101 classes, I gave the students in the program a little homework applying the course materials. I asked them to explain how three notable business ideas came to be known as classic failures: Apple’s Newton PDA device, the Segway Urban Transporter and one of the most notable dot-com disasters, Pets.com. Congratulations to our winner, Ryan Coelho who went beyond the call of duty to apply the course concepts to all three of the cases. Congratulations also go out to Alivia Ye and Vincent Cheung who also earned high marks for their description of these market failures as they related to our discussion in our first lecture. A key consideration in awarding the prizes was applying some of the course concepts to these cases. In the first lecture, we talked about the importance of aligning innovation with key market trends and the fundamentals of customer utility across the customer experience cycle. While these concepts are discussed in detail in the lecture videos and slides here, the main mantras we discussed were: “Trend is Your Friend” and “Less Cowbell.” We discussed the importance of trendspotting within the context of ensuring that six key market conditions (political, economic, sociological, technological, legal, capital) form your venture; otherwise you risk a serious uphill battle. At a customer and product level, “Less Cowbell” refers to the insanity of the stupid stuff we add to products. Like the cowbell that Will Farrell bangs out in a studio session on Saturday Night Live as a useless addition to a song, entrepreneurs often build in features into products that customers don’t value. They amount to unrecoverable costs that can sink the relative value of your product among target market segments. When you do your research, customers may say, “I gotta have more cowbell.” Often the real truth is that they don’t. Many of the best innovations today are the result of organizations taking a disciplined approach to gaining customer insight through empathic research and by rapidly releasing prototypes that give early-stage customers something to provide feedback on. Guy Kawasaki, with his mantra of “fail fast, cheap and often,” is right on. It gets you focused on what matters – which is often more about stressing simplicity of function and form versus feature sprawl. In the lecture I cited innovations from organizations such as Google Search and Dyson who have maintained a very clear focus on “doing one thing really well” and seeing the “user experience” as a top priority. And the market responds accordingly. The now infamous Segway product introduction in 2001 also has some elements of the Newton story in its history as a failed product. While the product is today still on shelves (I recently saw an end display at Best Buy in Palo Alto), it can be said that the Segway’s original launch serves as a great case study in how to lose sight of your market “signal to noise ratio.” Originally unveiled as a “Human Transporter,” Segway was one of the grand over-hyped technology launches of our time. Its creator, Dean Kamen, was already a successful innovator after inventing a mobile dialysis machine (now marketed as HomeChoice™ by Baxter), AutoSyringe, a portable infusion pump, and an all-terrain electric wheelchair known as the iBOT, which used many of the same gyroscopic balancing technologies that later made their way into the Segway. Kamen envisioned massive demand for the Segway, not just from government and industry sectors such as the postal service and police departments. He also believed this would be the consumer product of the century. Billed as a revolutionary solution to urban gridlock, air pollution and dependency on fossil fuels, Kamen overbuilt a marketing and manufacturing operation that was clearly based on wishful market thinking. While the technology was indeed very impressive, there were some key issues still to be worked out. Many of these were related to key areas of safety and overall performance versus other transportation options. As is often the case, one of the biggest miscalculations Kamen and his team made, though, was not related to the technology. It was their failure to read the market conditions and the degree of difficulty that would await such an invention as it moved to market. 2001 if you remember was not a great year for costly new products hitting the street, given the collapse of the tech market and the pressure on the overall economy. The Segway was in fact too revolutionary for its time. It was a product that required systemic change for it to integrate properly into business and consumer use. A key area was political change. Citing safety and training concerns, many municipalities moved to block the use of Segways. While Kamen hired many high-priced lobbyists to persuade state legislatures to rewrite their laws to permit his scooter to operate on city sidewalks, many jurisdictions quickly passed unfavourable legislation that ran Kamen’s market forecast off the road. Key Lesson: Creating a new platform is a very big undertaking unto itself – especially a science fair project as novel as the Segway. But creating a new category is next to impossible without the right trends working to your advantage. While the Segway offered some early technological promise and the potential to address urban problems, Kamen somehow felt that the need for stealth to create a bigger market impact at launch was a bigger issue than warming up the market so it would be receptive. On these six key “trend tests”, it would appear the only one Kamen clearly had going his way was capital. Kamen’s brilliant reputation for product hits gave him access to Tier-A VCs, which included John Doerr, of Kleiner Perkins Caufield & Byers. Doerr’s firm invested $38 million in Kamen’s start-up and Segway went on to raise a total of $90 million in the spring of 2000. And the company has struggled to this day to gain market traction befitting of the technology advances Kamen brought to this venture. Alas, some trends, even the great Dean Kamen could not befriend. The Apple Newton was thought to be a brilliant idea that was way ahead of its future competitors. Introduced in 1993 during the John Scully regime, it was one of the early forays into the world of PDAs (personal digital assistants) with all the purported features that the PalmPilot was to have four years later when it came to market. After spending what is estimated to be close to $1 billion in development, Apple prematurely introduced the platform which resulted in a number of flaws in the applications that ran on the device. For instance, a core function for the device was the ability to read your handwriting, the Newton could only interpret stylus gestures and a few low-level commands, but nothing that approached intelligent interpretation of someone’s handwriting. 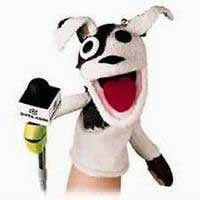 Founded in 1998, Pets.com was hailed as the “leading online pet store” and was best known for its wildly popular sock puppet spokesdog and funny Super Bowl commercial. As part of a major wave of online retail plays, the company burst on the scene with lots of fanfare, raising $82.5 million in a NASDAQ IPO. Shockingly, during its first fiscal year, Pets.com earned revenues of just over half a million dollars but spent close to $12 million on advertising. Moreover, Pets.com was also too ambitious, it was selling merchandise for approximately one-third the price it paid to obtain the products and also tried to build a customer base by offering discounts and free shipping for products that only gave them less than a 5% profit margin. And to think these people went to business school. But these were groovy times and ideas (some of them worthless) were flowing as was the venture capital. Key Lesson: Being top in a lousy market category (as an e-tailer of pet food and pet supplies) is not necessarily a good thing. Like many other “e-tailers”, Pets.com had grossly overstated the market trend. The company optimistically assumed that consumer online spending in general and in the pet category would grow rapidly. This time period was based on growth of Internet shopping and the percentage of pet owners that shopped on the Internet. Its extensive ad budget added heavily to its cost structure while it also pursued a deep discount strategy to maintain competitive (due to a poor value proposition they competed on price). And perhaps most notable in the “what were they thinking” category was the cost structure for operations which in part were fueled by the astronomical cost of delivery. The company at its peak employed 320 people. Clearly management and investors at Pets.com thought they were on trend and that the Internet boom would afford them a four-year journey to hit break even. Alas, that milestone never came. The insanity lasted nine months. While the e-tail tornado lifted a lot of companies into the air, many of them just couldn’t fly. They were turkeys. CIBC presents Entrepreneurship 101 2009/10 – Week 15 – Marketing that Matters: Transforming your ideas to income (Pt 2) from MaRS Discovery District on Vimeo.